Hanako koi is a koi fish named Hanako, and happens to be the longest living fish on record. In fact, she lived to be a whopping 226 years old. This is an incredibly long life for these fish, even though koi carp are known for having very long lives. 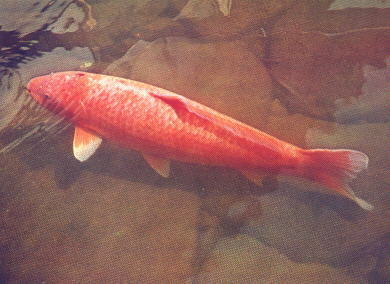 Hanako koi was a beautiful female koi that was scarlet in color, and she lived in Japan. Her beautiful name meant “flower girl” in Japanese, and unfortunately, this “flower girl” died in 1977 after living to the ripe old age of 226. However, while it’s unfortunately that the beautiful koi died, her life story is an extraordinary one that has been fascinating to those in Japan and individuals all throughout the world. Hanako koi was born back in 1751, which was right during the Tokugawa Era. It is incredible to think that this koi fish actually was older than the United States. The owner of this lovely koi fish was Dr. Komei Koshihara, who was Hanako’s last owner, broadcasted the amazing story of the koi fish to the entire nation of Japan. When this broadcast aired, Hanako weight in at 7.5 kilograms, was 70 centimeters in length, and was at the ripe old age of 215. He told the story of Hanako koi and how his maternal grandmother, who had been the one to inherit the koi from back in the “olden times”, passed down the fish to him. According to Dr. Koshihara, this fish was his very closest and dearest friend. You may be wondering if Hanako koi was really 226 years old, but the age of the koi was verified by taking a look at the rings that were on her scales. Just as dendrologists are able to tell the age of a tree by looking at the number of rings found in the wood, a light microscope can be used to show the rings of growth on a koi and then counted to figure out the koi fish’s age. These growth rings on the koi’s scales show a wide growth pattern and then a narrower growth pattern. The reason there is a difference in the width of these rings is because of the seasonal changes that occur between winter and summer. During the cold winter months, these fish have a slower metabolism and eat a lot less than they do when the weather is warmer. 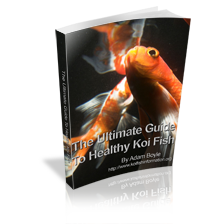 However, during the summer months, koi eat a lot more food and this causes the wider growth ring patterns to show up on their scales. To analyze how old Hanako koi really was, she was taken from her pond in the mountains found in the Mino Province. Tweezers were used to carefully take off two different scales from her body, and they were taken from different parts of the body. Over two months’ time, the individual annual rings on the Hanako koi’s scale were analyzed carefully by professor Masayoshi Hiro from the Nagoya Women’s College at the Laboratory of Animal Science. When the scales were analyzed, everyone was surprised to discover that Hanako was actually 215 years old at the time analysis. After discovering the old age of Hanako koi, the other koi carp that were found in the same pond were also examined to see how old they were. 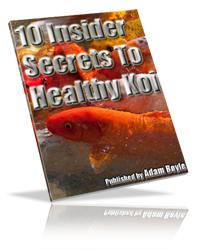 The analysis of the other fish took another year to complete, but the final results of this analysis showed that all five of the other koi were far over 100 years of age. Unfortunately, no one is really sure why Hanako koi had such an incredibly long life. Perhaps it was the Japanese mountains, the crystal clear waters in the mountains, and the incredible care and lover from her owners. Koi carp generally have long lives as it is, with most of them living to be around 50 years of age. However, it is not uncommon for carp to live more than 100 years. For this reason, koi carp are admired in Japan and across the world today. Hanako kio is just one example of how long these amazing fish can really live. Next to tuataras, tortoises, and whales, koi are considered one of the vertebrates with the longest lifespan on earth today.